Think about it &ndash; heavy Bellevue traffic, hilly Nebraska terrain. Maybe some dirt roads &ndash; and it's going to be pretty hot. And all the time you'll be towing several thousand extra pounds around Bellevue roads. That all adds up a lot of severe strain on your transmission. It's going to be working overtime, spending more time in lower gears. The internal transmission temperature is going to be much higher than normal. Bellevue drivers need to make sure they have enough transmission fluid. If it runs low, the transmission will run hotter and won't have the protection it needs to cope with the added stress of towing. Transmission fluid breaks down and gets dirty over time. Whether your car has an automatic or manual transmission, you need to have it serviced on schedule at Yeck's Tire & Auto Repair to make sure it runs efficiently. Neglect your car transmission for too long, and it can fail. You really don't want to pay for a major transmission repair even with the reasonable rates at Yeck's Tire & Auto Repair. Before you leave your Bellevue home and head to the lake, bring your vehicle in to Yeck's Auto Repair for a trip inspection. Your Yeck's Tire & Auto Repair service technician will check your fluids, belts and hoses and let you know if your brakes are in good shape. Now, don't forget the sunscreen. Automatic transmissions have gotten more sophisticated in recent years for Bellevue car owners. Take the number of gears for starters: The base is four speeds, five is very common. Many manufacturers are using six speeds and several have seven or even eight speeds. As you can imagine, this means more parts in your car's transmission. Today's transmissions are computer controlled. Some high end transmissions have two or three computers. Our experienced technicians at Yeck's Auto Repair in Bellevue receive ongoing training on transmission service and repair. Bellevue, Omaha, and Papillion car owners trust that transmissions are engineered to last. But Nebraska motorists need to understand that they are also engineered to tighter tolerances. If a portion of the transmission is starved for lubrication, it can lead to failure. Most newer vehicles in Bellevue, Omaha, and Papillion require special transmission fluids &ndash; at Yeck's Tire & Auto Repair we can make sure you get the type your manufacturer recommends. My friend just had a very expensive transmission repair in Omaha. How can Bellevue drivers like myself avoid transmission trouble? 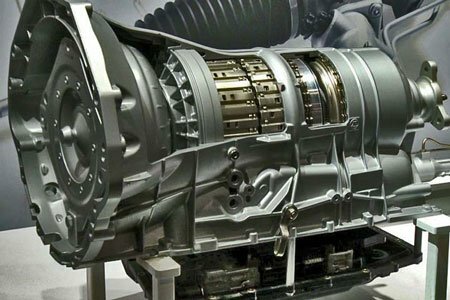 Next to your engine, your transmission is the most important component in your vehicle &ndash; so you and your fellow Bellevue drivers want to do all you can to avoid transmission repairs. Bellevue drivers may have noticed a trend of engines becoming more and more powerful in recent years. At the same time, fuel economy has been improving in nearly every motor vehicle segment in NE. More power and better economy have always been at odds. 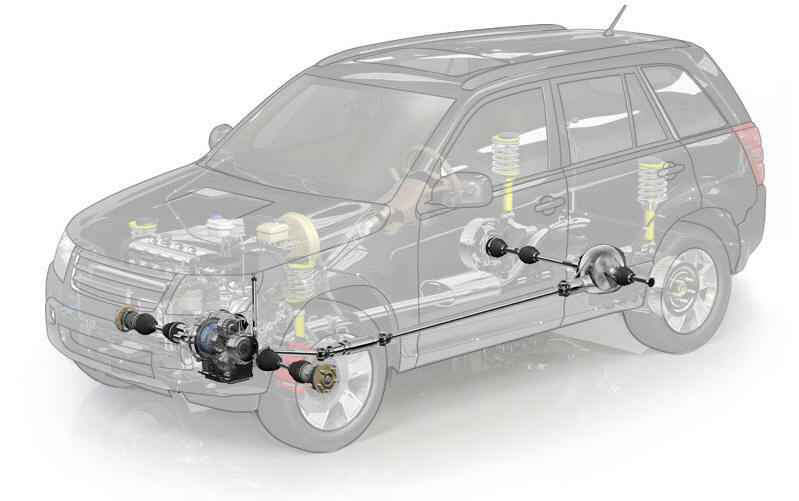 Some of the improvement in fuel economy has been due to engine design, but most of the increases can be credited to advances in transmission technology. Every engine has a sweet spot in which it most efficiently makes power. This is often referred to by Bellevue technicians as the power band &ndash; the optimal engine speed (measured in revolutions per minute, or RPM). The computers that control what gear your automatic transmission is in also try to keep it in the right gear in order to maintain optimal engine speed &ndash; whatever your Bellevue driving conditions may be. Modern automatic transmissions have anywhere between four and ten speeds. The more &ldquo;speeds&rdquo; your transmission has, the more time your engine can operate at peak efficiency. Needless to say, transmissions have become more sophisticated. Transmissions are cooled and lubricated by transmission fluid. This pressurized fluid is directed through small passages to effect gear changes. When transmission fluid gets old and contaminated, the small passages can become plugged, which adversely affects shifts. The dirty fluid circulating in the transmission can eat away at gaskets and seals causing internal leaks that also hurt shifting. This is why some recommend that transmissions be serviced from time to time. The interval varies by vehicle, so check your owner's manual or with your friendly and knowledgeable Yeck's Tire & Auto service advisor about your transmission service recommendations. Old, contaminated fluid is removed and new fluid is installed. Keeping up with the manufacturer's recommended service schedule helps prevent internal damage that may result in a transmission rebuild. Let Yeck's Tire & Auto help you extend the life of your vehicle and prevent repairs with recommended preventive maintenance service. Transmissions are heavy duty pieces of equipment that are designed to last a long time for most Bellevue drivers. But like any other machine, they'll eventually wear out and need repair. So let's focus on what NE drivers can do to push that day off as far as possible. The first thing Bellevue drivers can do is to make sure their transmission always has enough fluid. Transmission fluid cools and lubricates the transmission. When there's not enough fluid, the transmission will run hotter and wear out sooner. The team at Yeck's Tire & Auto in Bellevue can check your transmission fluid level with a full service oil change and top it off if needed. If you see any transmission fluid on the driveway &ndash; it's a reddish color &ndash; have us inspect it for a leak. A gasket, hose or seal could be leaking and may need to be repaired. Transmission fluid also contains detergents and other additives to protect your transmission. These additives are depleted over time, so old fluid doesn't protect as well as new fluid. Your vehicle owner's manual or Yeck's Tire & Auto will have a recommendation for when you should have a transmission service. If your vehicle transmission isn't shifting as smoothly as it should, or if you suspect a transmission leak, let Yeck's Tire & Auto take a look at it. And ask if it's time for a transmission service. Regular maintenance and taking care of small leaks right away will help your transmission last as long as possible.